Microsoft’s Sean Alexander sent in this tip about the Momento by A Living Picture, a digital picture frame that has been certified and enhanced for Windows Vista. A lot of progress has been made since its original WinHEC May 2006 debut, it’s available for pre-order for shipping in early December of 2006. 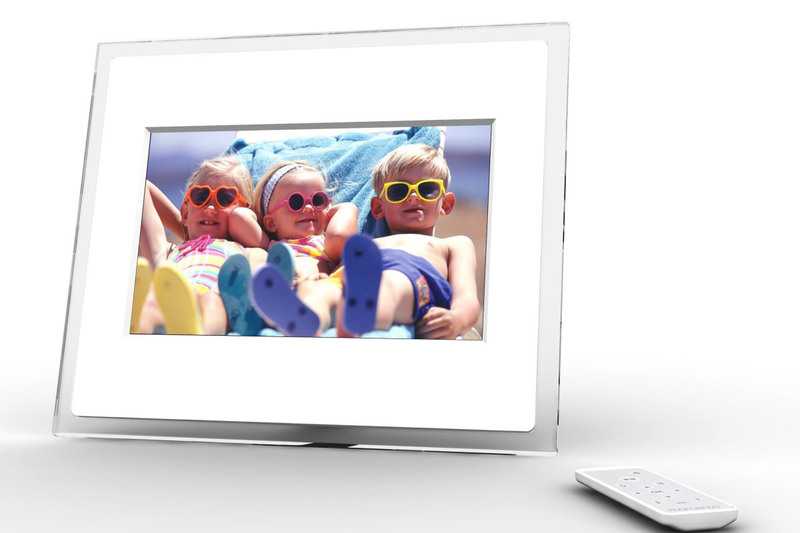 Digital picture frames aren’t new concepts, for example, Philips has already shipped a digital photo display device in September of last year. But there’s still a lot of improvements to be made until these devices becomes a mass-market consumer product. For example, some of the limitations of the Philips device includes limited storage capacity and a manual photo management process. But this is where Momento and Windows Vista comes in. The most obvious is wireless connectivity using 802.11 b/g. And not being limited to only photos stored on a computer in the household, the Momento can access photos from memory cards, mobile phones, digital cameras or even someone across the globe with the integrated Momento Live service. No points for guessing where the inspiration for the name came from. This could make a great way to share family photos to far-away relatives and family straight to the most appropriate device for viewing photos. There’s also other neat functions including a clock and calendar, which can all be accessible through the remote control supplied. But possibly the most interesting and undocumented feature for the Momento is the support for Windows Sideshow. Using SideShow, users could run gadgets to deliver information such as emails, stock quotes, weather and meeting schedules. And the possibilities are endless. Someone could code a gadget to provide a secondary display screen for games similar to the Nintendo DS, color palettes for an artist or visualizers to accompany music. It’s almost like having a ‘smart’ mini-display. Sadly there’s no touch interface. As for the design of the device, I’m not too sure about the inches of white border surrounded the actual display which comes in sizes of 7″ or 10″. But apparently the frames are changeable. 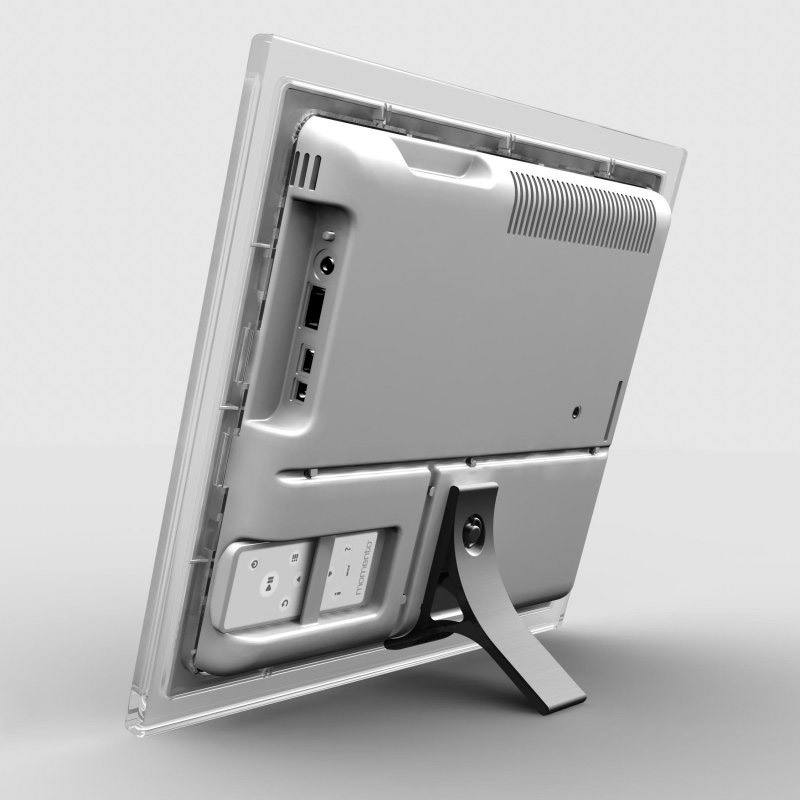 The device is powered by Windows CE and uses a 800×480-resolution TFT display. Supports audio, video, and obviously images from SD/MMC/xD/SmartMedia/Memory Stick/USB/Wifi. Is compatible with Windows XP, but ‘enhanced’ for Windows Vista. It is currently priced at US$200 for the 7″ and $300 for the 10″, still way too expensive for the consumer market. Expect to see it on your manager’s desk soon, and when you do, you can praise them on how much more beautiful their siblings look in a digital picture frame compared to passé framed prints. Okay THAT is awesome! The picture features alone are great. Slapping Sideshow support in there is the icing on the cake. I’ll certainly be getting one of these. It’s nice for sure, but do we really need another useless thingy to waste energy? Whoever will have this on his/her desk already has a computer on it too. No need for a picture frame with RSS or whatnot. It’s wireless Rajo! Meaning it can be anywhere in the house! Duh! I am very interested in getting one of these for my parents so I can show them pictures of they new grandson, who lives half way around the world. I think it is criminal the way companies charge nearly double the price for the same product in Eurpoe than in the US. You guys in the US should count yourselves lucky. 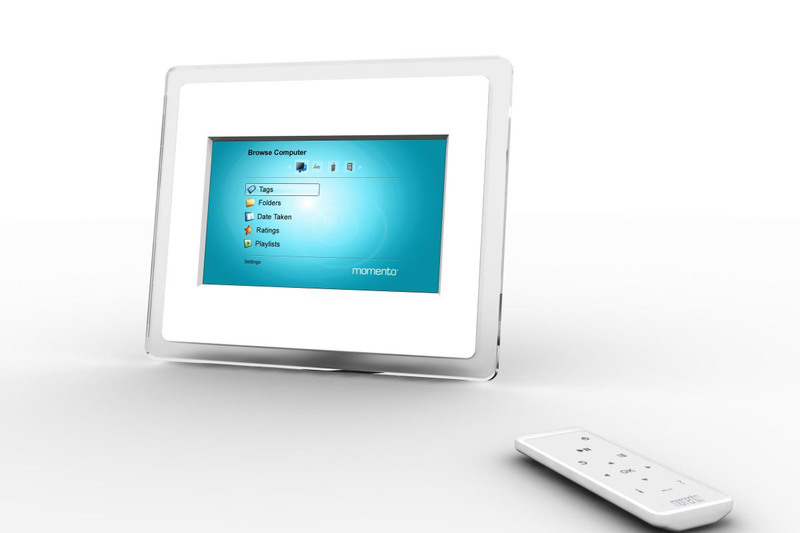 For your info there’s an australian company selling a Bluetooth digital frame for AU$169. Admittedly, the size is quite small at 5.6 inches… but still a good price. I just picked up the 10″ from woot.com for around $129.99 + $5 shipping and it included the momento live service for free. On their site it was listed for $279.99…huge savings. Just bought one and so far not that impressed, plugged it in as directions say and the setup location comes up but cannot select location or move on from that point. It says to hit next but that is not an option, seems to default to United States but cannot move from that point. Very disappointing.